US President Donald Trump tweeted,“The meeting next week with China will be a very difficult one in that we can no longer have massive trade deficits and job losses. American companies must be prepared to look at other alternatives,” soon before it was announced that he would meet Chinese President Xi Jinping next week. That makes media not optimistic of the results of Trump-Xi meeting. The Guardian regards Trump’s tweet as the commencement of collision between the US and China so that it gave its report on the meeting the title “Trump sets himself on collision course with China ahead of Xi meeting”. However, it is common sense that leaders of great nations meet not for quarrel but for resolving quarrel. If the two sides see no possibility of positive outcome of their meeting, they simply will not have the meeting. There have been busy preparations before a meeting of top leaders of great nations can be a reality. This blogger is sure that the meeting is simply impossible if the leaders are aware that nothing good will come out of the meeting. Then why Trump has written such a tweet? That is his smokescreen in order to make people believe it is impossible to obtain what he wants in the meeting. However, he is sure of the positive outcome but only wants to bring Americans a surprise. Obtaining something impossible in the meeting will impress Americans how clever and successful he is. He wants to win confidence among Americans through his success in his meeting with Xi especially when he is encountering so much opposition at home now. As this blogger has predicted repeatedly in his blog, win-win cooperation is the only way out for both China and the US. Neither Trump nor Xi is so stupid as to choose confrontation. 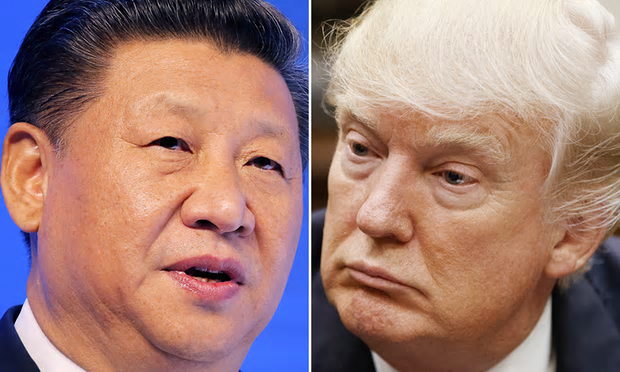 Comment by Chan Kai Yee on The Guardian’s report, full text of which can be found at https://www.theguardian.com/world/2017/mar/31/trump-sets-himself-on-collision-course-with-china-ahead-of-xi-meeting. China’s domestically developed AG600, the world’s largest amphibious aircraft, will make its maiden flight in late May from the southern city of Zhuhai, the official Xinhua news agency said on Thursday. China has stepped up research on advanced military equipment as it adopts a more muscular approach to territorial disputes in places such as the busy South China Sea waterway, rattling nerves in the Asia-Pacific region and the United States. The aircraft will take its first flight over land and then another on water in the second half of 2017, Xinhua said, citing its manufacturer, state-owned Aviation Industry Corp. of China (AVIC). 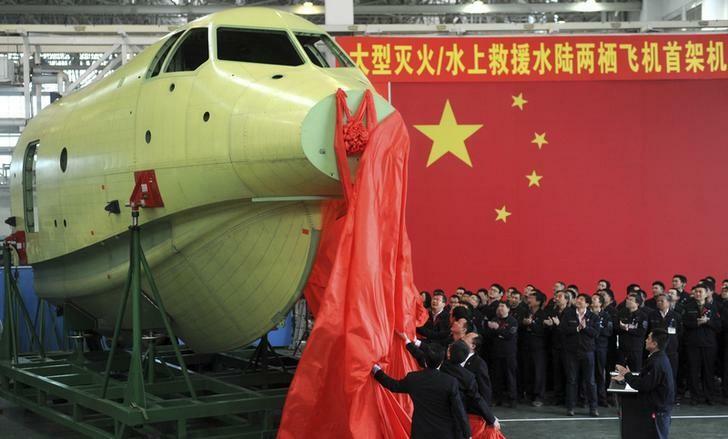 AVIC has spent almost eight years developing the aircraft, which is roughly the size of a Boeing 737 and is designed to carry out marine rescues and battle forest fires. The aircraft has received 17 expressions of interest so far, Xinhua added. It has a maximum flight range of 4,500 km (2, 800 miles) and a maximum take-off weight of 53.5 tonnes. China is in the midst of a massive military modernization program, ranging from testing anti-satellite missiles to building stealth fighters and the country’s first indigenous aircraft carrier, to add to an existing one bought from Ukraine. The new carrier could be launched soon, state media have reported, though it is likely to be several years before it fully enters service. 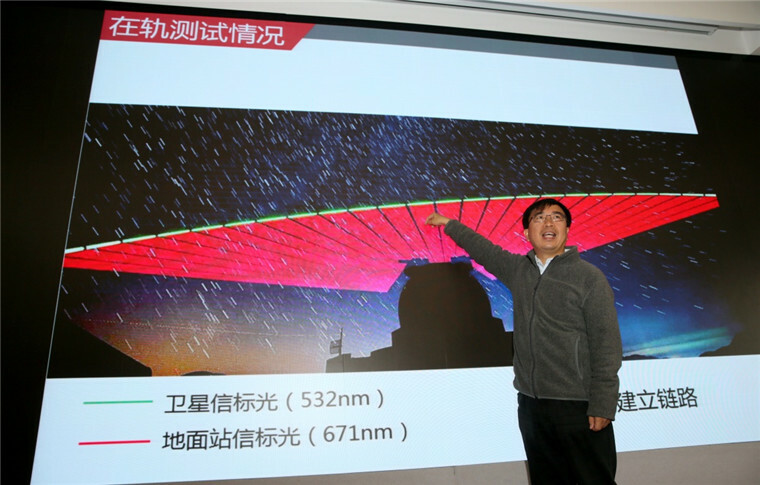 On Thursday, Chinese Defence Ministry spokesman Wu Qian told a monthly news briefing the outfitting of the new carrier was proceeding smoothly and people would not have to wait long for more “good news”. But he did not elaborate. Before China adopts the measure of terror v. terror, there were quite a few reports of terrorists killing tens and even hundreds of victims indiscriminately not only in Xinjiang, Chinese terrorists’ homeland, but also in quite a few large cities. There was real terror created by the terrorist attacks that have give rise to stampede that hurt people when people heard the panic yelling about terrorist attack, though quite a few of that turned out false alarms. 1. It bans report on terrorist attack so that terrorist cannot create terror among Chinese people. That is most important as creation of terror is precisely what terrorists want more than the killing of innocent people. 2. It counters terror with terror. It fills its media with reports on how people have been organized to fight terrorists with clubs and conduct mass search of terrorist attackers. It has indeed organized people for fighting terrorists not only in Uighur heartland but also all over China. As far as I know more than 100,000 people have been organized to fight terrorists in Shanghai, my hometown. Chinese media are even filled with reports on the stories of people resisting terrorists with clubs and even stools and killing them without arresting them to punish them and on mass search of terrorists by lots of civilians armed with clubs. The photo on top shows how shopkeepers have been organized to fight terrorists with clubs. 3. 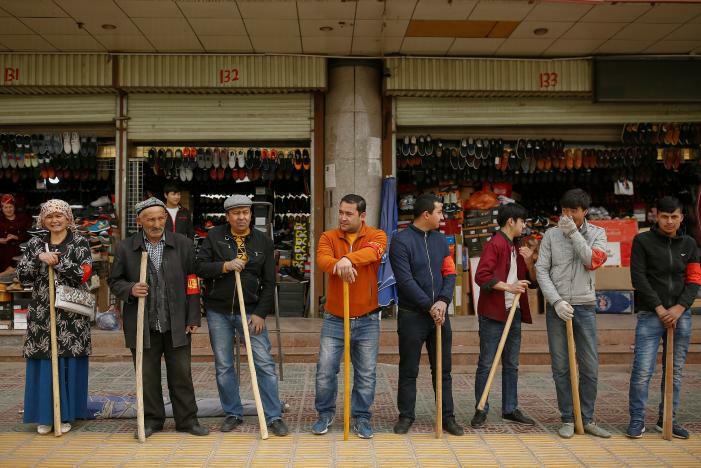 According to Reuters’ report “Terror threats transform China’s Uighur heartland into security state” yesterday, China has built thousands of what the authorities call “convenience police stations” across Xinjiang and hired some 30,000 new officers to man them to set up grid-style surveillance there. As a result, terrorists have no way to escape after their attack. That certainly terrifies terrorists. Certainly, the surveillance has caused some inconvenience just as I felt when my bag was checked for security when I took subway in Shenzhen, but I place the blame on terrorists instead of the authority that imposes such surveillance. Reuters says in its report, “This month a video purportedly released by the Islamic State group showed Uighur fighters training in Iraq and vowing that blood would ‘flow in rivers’ in China.” It tells us that there is real threat of terrorist attacks in China. Comment by Chan Kai Yee on Reuters’ report, full text of which can be viewed at http://www.reuters.com/article/us-china-xinjiang-security-insight-idUSKBN1713AS. China-Philippines relations had been quite satisfactory with South China Sea dispute remaining on the sideline until former Philippine President Aquino was exploited by the US to contain China with intensification of the dispute. However, Aquino got nothing as the US was not willing to fight China for Philippines’ interests. Upset by US inaction as an ally, Philippine President Duterte wanted to recover and even further improve relations with China and estrange his country from the United States, Philippines’ old ally. However, that is not something new as described by lots of Western media. It is but the recovery and further development of Philippines’ old policies to be friendly with China and estranged from the US. Do not forget that the Philippines took back US military bases to drive away US troops stationed there in 1992. The US shall be aware of the trend so that it has to give the Philippines something when it asks the Philippines to do something for it. Its failure to do so has caused it to lose the Philippines to China as China can and is giving the Philippines lots of things: funds, cooperation in exploiting fish and energy resources etc. If we know the history of Philippine- China and US relations, we will not be surprised at the development of closer ties between China and the Philippines at the expense of the US. SCMP says in its report “Beijing and Manila to discuss South China Sea dispute” today that China has invited Philippine coastguard to visit China and plans to hold talks on South China Sea dispute with the Philippines in May. In fact, according to Chinese media Global Times’ report “Duterte has not only invited Chinese warships to visit the Philippines but will also board a Chinese warship” on March 25, Duterte has invited Chinese navy to visit the Philippines and will board a Chinese warship in person to show the vigorous development of Philippine-China relations. Since Deng Xiaoping began his reform and opening up capitalist in nature, there had been fierce debates between reformists and conservatives about the nature of the reform and opening up. Conservatives denounced the reform for its capitalist nature, but Deng and the reformists under him could not deny. Deng knew well as Maxism-Leninism and Mao Zedong Thought were the dominant ideology at that time, there was no hope for him to defend his pursuit of capitalism against Marxism and Mao Zedong Thought. He resorted to a stalling strategy and told conservatives to wait and see the results of the reform and opening up. After Tiananmen Protests, conservatism prevailed. Deng had to apply his power as paramount leader (“core of collective leadership” according to Deng’s term of expression) to force officials to carry on the reform. His successor Jiang Zemin had to play every trick to overcome conservatives’ opposition in order to continue Deng’s reform while establishing his power base. However, when Jiang Zemin and Zhu Rongji had achieved obvious successes in conducting reform and opening up, the facts of successes silenced opposition. However, Jiang and the reformist theorists knew that ideology was very important in China. Feudal dynasties could each survive for two to three centuries due to the ideological dominance of Confucianism. Jiang had to justify the reform and opening up with Marxism, the dominant ideology in China now, so as to ensure the continuance of reform and CCP’s rule in China. To do so, he used the most fundamental Marxist doctrine that production relations shall suit the requirements of the development of advanced production force. According to Marx, at first capitalist production relation the private ownership of means of production (enterprises) suited the requirements of the development of advanced productive force so that it replaced the feudal one and brought about prosperity. However, there is the basic contradiction of capitalism that the production is for the society but the means of production (the enterprises) are owned privately by capitalist entrepreneurs, who often make decisions on production for their own profits in disregard of the needs of the society, resulting in overproduction and overcapacity that gave rise to cyclical economic crisis. Marx believed that by that time, the capitalist production relation no longer suited the requirements of the development of advanced production force and should be replaced by communist production relation of public ownership and planned economy. Marx instructed communists that they should represent the requirements of the development of the advanced productive force and carry out a revolution necessary to put all means of production (enterprises) under public ownership as required by the development of the advanced productive force so that the state can plan the production in accordance with the needs of the society. A planned economy would be the most efficient, Marx believed. Then as the production relations suit the requirements of the development of the advanced productive force, the economy will take off. There will be abundance of all kinds of products to meet the needs of all the people. Everyone including former capitalists whose assets have been confiscated will be benefited. So, Marx said that the proletariat (the working class) would emancipate the entire human race. However, Marx was not able to foresee that public ownership and planned economy were good in theory, but have been proved inefficient by practice everywhere in the world. The first of Jiang’s Three Represents goes deeper in Marxist theory for the communists to represent the requirements of the development of advanced productive force. It sums up the lessons of the failures of public ownership and planned economy and the successful experience of China’s capitalist reform and opening up to prove that capitalism instead of communist public ownership and planned economy suits the requirements of the development of advanced productive force in China now. That was why China remained poor and backward for more than two decades when it had monolithic public ownership and planned economy, but has become rich and prosperous in three decades since it began to carry out its reform and opening up capitalist in nature. Since Jiang’s Three Represents were written into CCP’s constitution, there have no longer been any debates whether the reform and opening up are socialist or capitalist in nature. It is generally accepted that China’s reform and opening up are commensurate with Marxism. However, according to the constitution, CCP has not only Marxism but also Mao Zedong Thought as its guiding ideology. When Hu Jintao wanted to conduct further reform to encourage private enterprises and remove state-owned sector’s monopoly, conservatives represented by Bo Xilai began to use Mao to oppose Hu’s reform. A fierce power struggle between conservatives and reformists broke out. For several years Hu was unable to conduct his further reform due to the opposition from vested interests, especially the group of corrupt officials, and from conservatives. How Xi Jinping put an end to the fierce power struggle will be described in my article “The Conundrum of Xi Jinping’s Chinese Dream” later. SCMP says in its report “America’s hidden role in Chinese weapons research” yesterday, “Many scientists have returned to China after working at Los Alamos and other top US laboratories”. In fact, Qian was among the group of 40 plus top scientists who returned China at the same time and made great contribution to China’s modernization in all fields not only military. Having been benefited by experts trained abroad, it is only natural that China “has stepped up its efforts in recent years, using financial incentives, appeals to patriotism and the promise of better career prospects to attract scientists with overseas experience” not only “in defence research” but also in other researchs and not only from the US but also from other countries. For example, China attracted back world top quantum scientist Pan Jianwei from Austria, who has been in charge of China’s development of quantum communications, including the successful launching of world first quantum satellite for both civilian and military purposes. Military scientists are certainly a priority as all countries employ their best scientists for weapon development. No wonder, according to SCMP, China has attracted lots of scientists from US Los Alamos laboratories, but they are only a small percentage of top scientists and engineers trained abroad and making contributions in China. In fact, China has also attracted quite a few foreign scientists from abroad. Ukrainian scientists and engineers have been making great contributions to China’s development of aircraft carriers and large aircrafts. Comment by Chan Kai Yee on SCMP’s report, full text of which can be found at http://www.scmp.com/news/china/diplomacy-defence/article/2082738/americas-hidden-role-chinese-weapons-research. While US President Trump opposes globalization and urges US companies to withdraw their capital for creating jobs in the US, China is now the leader of globalization and exploiting it to find opportunities for export of capital to make money and get technology. China’s Tencent Holdings Ltd’s purchase of 5% stake in US rising electric car maker Tesla Inc. is but one example. China’s Tencent Holdings Ltd (0700.HK) has bought a 5 percent stake in U.S. electric car maker Tesla Inc (TSLA.O) for $1.78 billion, the latest investment by a Chinese internet company in the potentially lucrative market for self-driving vehicles and related services. Tencent’s investment, revealed in a U.S. regulatory filing, provides Tesla with a deep-pocketed ally as it prepares to launch its mass-market Model 3. Tesla’s shares rose 2.7 percent to $277.45 on Tuesday, closing in on Ford Motor Co (F.N) as the second-most-valuable U.S. auto company behind General Motors Co (GM.N). Tencent also could help the U.S. company sell – or even build – cars in China, the world’s largest auto market, analysts said. Tesla Chief Executive Officer Elon Musk on Tuesday tweeted: “Glad to have Tencent as an investor and adviser to Tesla.” Musk did not say what he meant by “adviser” but in a separate tweet he noted Tesla had “very few” Model 3 orders from China, where the car has not been formally introduced. The deal expands Tencent’s presence in an emerging investment sector that includes self-driving electric cars, which could enable such new modes of transportation as automated ride-sharing and delivery services, as well as ancillary services ranging from infotainment to e-commerce. Those new technologies, and their potential to create new business models and revenue streams in the global transportation sector, have attracted billions in investment from China’s three tech giants – Tencent, Alibaba Group Holding Ltd (BABA.N) and Baidu Inc (BIDU.O). In an investor note, Morgan Stanley auto analyst Adam Jonas said on Tuesday that he “would not be surprised” to see Tencent and Tesla collaborate in the development and deployment of some of those technologies. Founded in 1998 by entrepreneur Ma Huateng, Tencent is one of Asia’s largest tech companies, best known for its WeChat mobile messaging app. With a market capitalization of about $275 billion, it is roughly six times the size of 14-year-old Tesla, whose $45 billion market cap on Tuesday was only $1 billion shy of 114-year-old Ford. Tencent was an early investor in NextEV, a Shanghai-based electric vehicle startup that since has rebranded itself as Nio, with U.S. headquarters in San Jose, not far from Tesla’s Palo Alto base. Tencent also has funded at least two other Chinese EV startups, including Future Mobility in Shenzhen. In addition, Tencent has invested in Didi Chuxing, the world’s second-largest ride services company behind Uber, and in Lyft, Uber’s chief U.S. rival. Baidu has invested in Nio, as well as in Uber and Velodyne, a California maker of laser-based lidar sensors for self-driving cars. Alibaba’s mobility investments include Didi and Lyft. Tencent maintains a U.S. office in Palo Alto, in the heart of California’s Silicon Valley. Beijing-based Baidu and Hangzhou-based Alibaba also maintain offices in Silicon Valley.